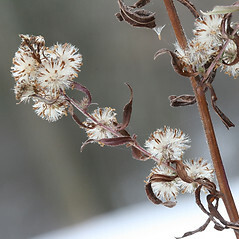 stalks of flower heads elongate and provided with abundant short bracts and series of involucral bracts mostly 4.5-6.3 mm long (vs. S. racemosum, with stalks of flowers heads usually short and series of involucral bracts mostly 2.5-3.5 mm tall). series of involucral bracts 4-6 mm long (vs. S. racemosum, with series of involucral bracts mostly 2.5-3.5 mm tall). 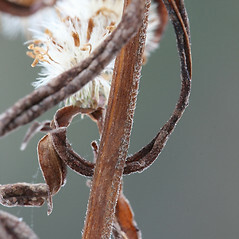 disk flowers with long, spreading lobes and series of involucral bracts mostly 4-6 mm long (vs. S. racemosum, with disk flowers with short, ascending lobes and series of involucral bracts mostly 2.5-3.5 mm long). 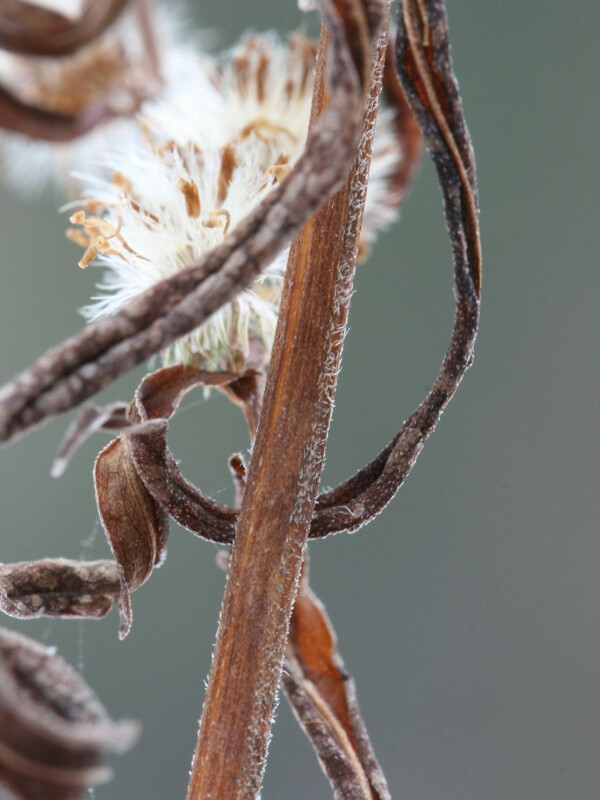 Aster fragilis, of authors not Willd. 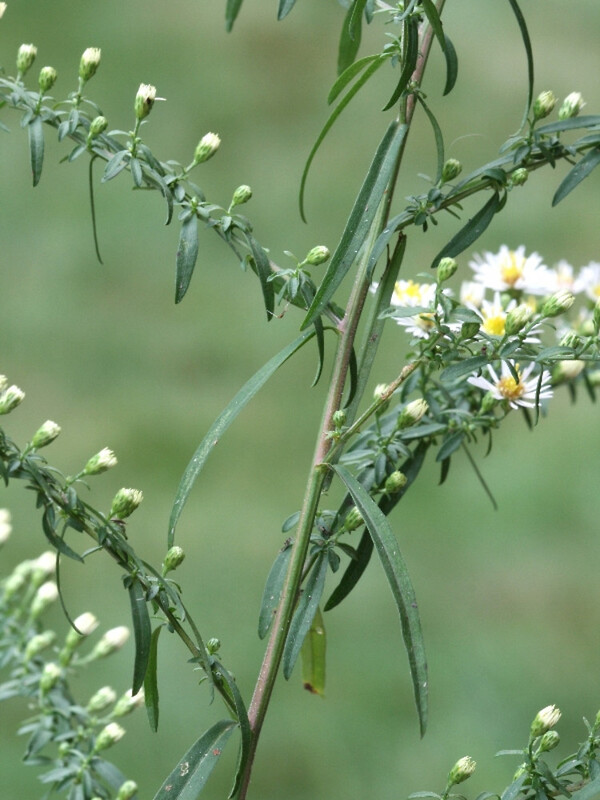 Aster vimineus, of authors not Lam. 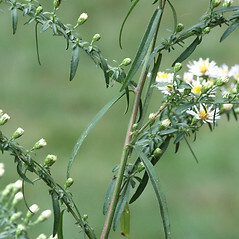 Aster vimineus Lam. var. subdumosus Wieg. 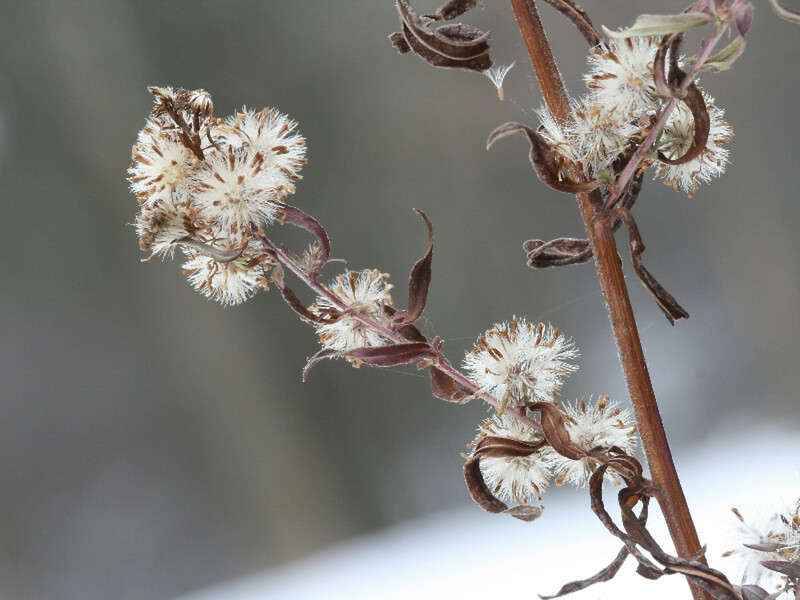 small white American-aster. 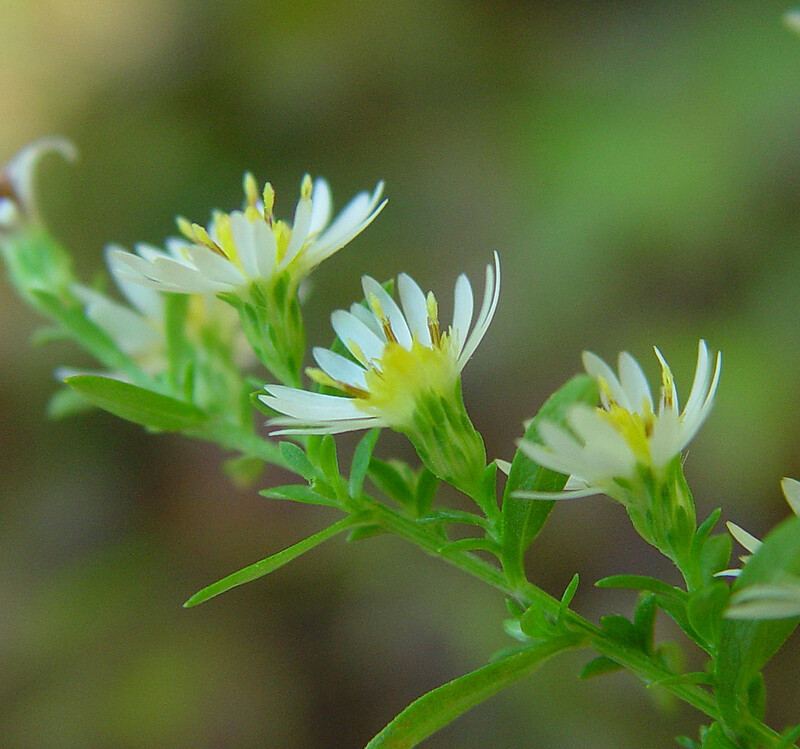 Aster fragilis, auct. non Willd. 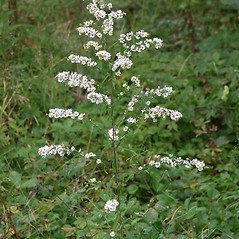 ; A. racemosus Ell. 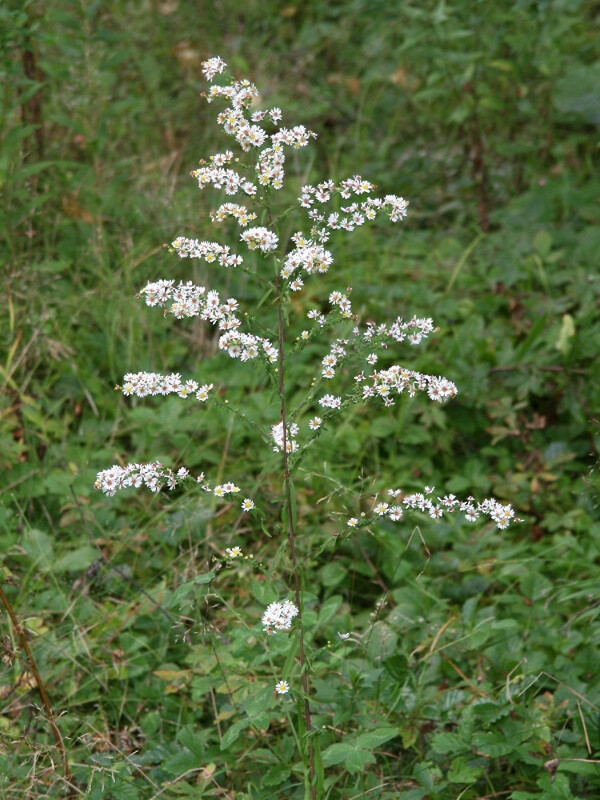 ; A. vimineus Lam. var. subdumosus Wieg. ; A. vimineus, auct. non Lam. 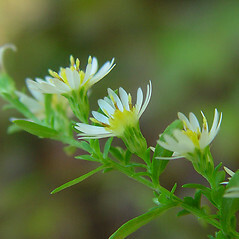 ; Symphyotrichum racemosum var. subdumosum (Wieg.) Nesom • CT, MA, ME, NH, RI, VT. Fields and moist, open sandy areas, including coastal plain pond shores.